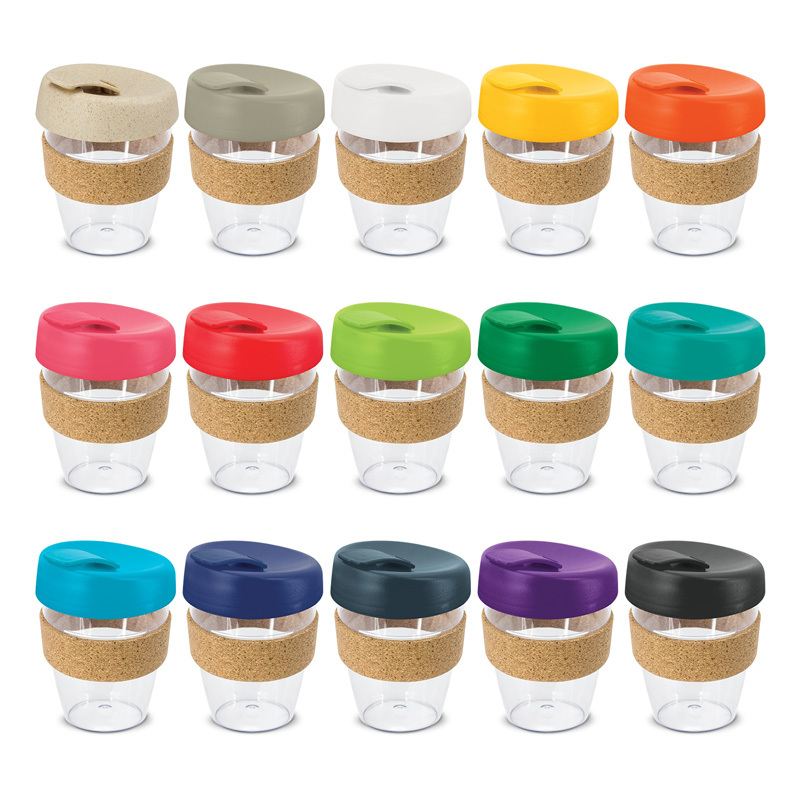 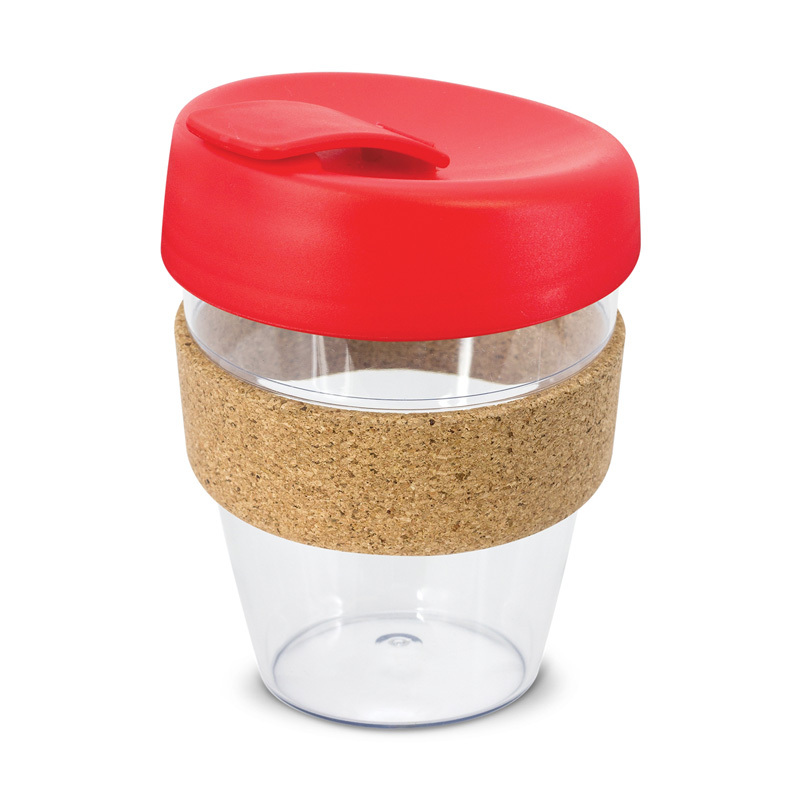 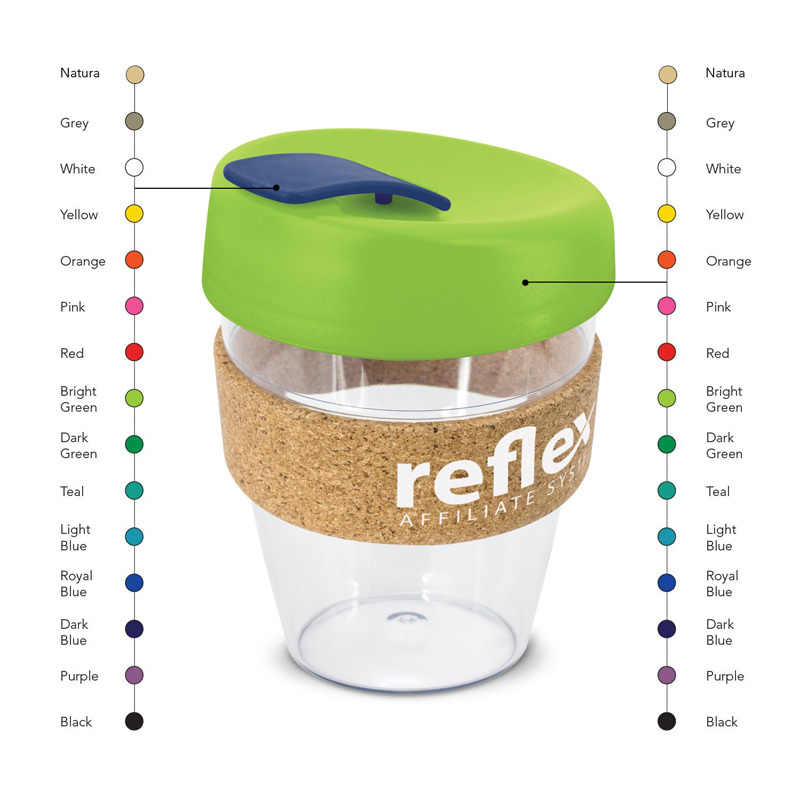 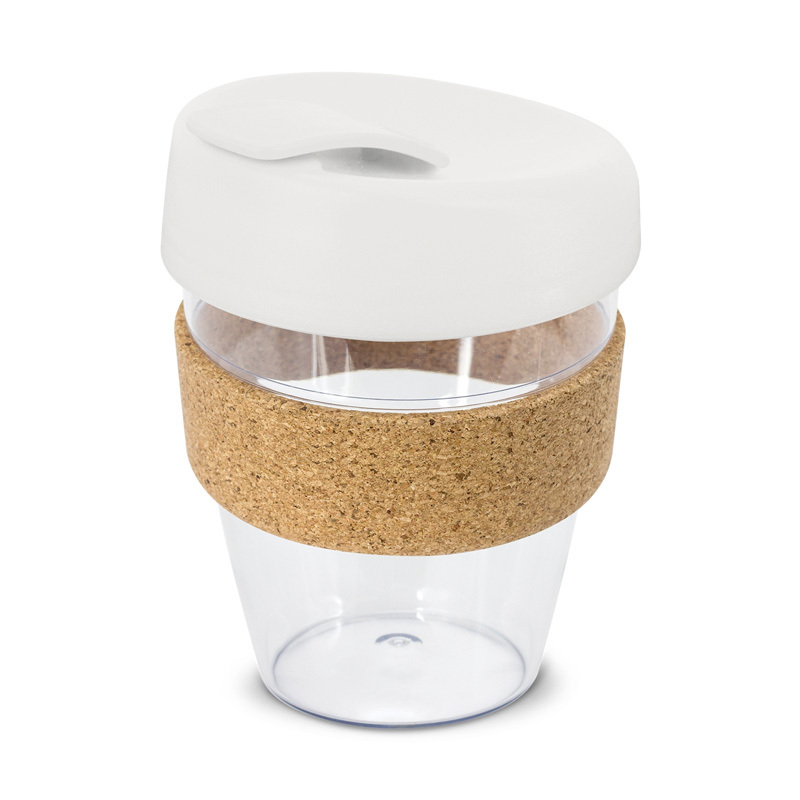 Crystal clear 350ml reusable coffee cup with a trendy heat resistant cork band and a secure screw on lid with a splash proof flip closure. 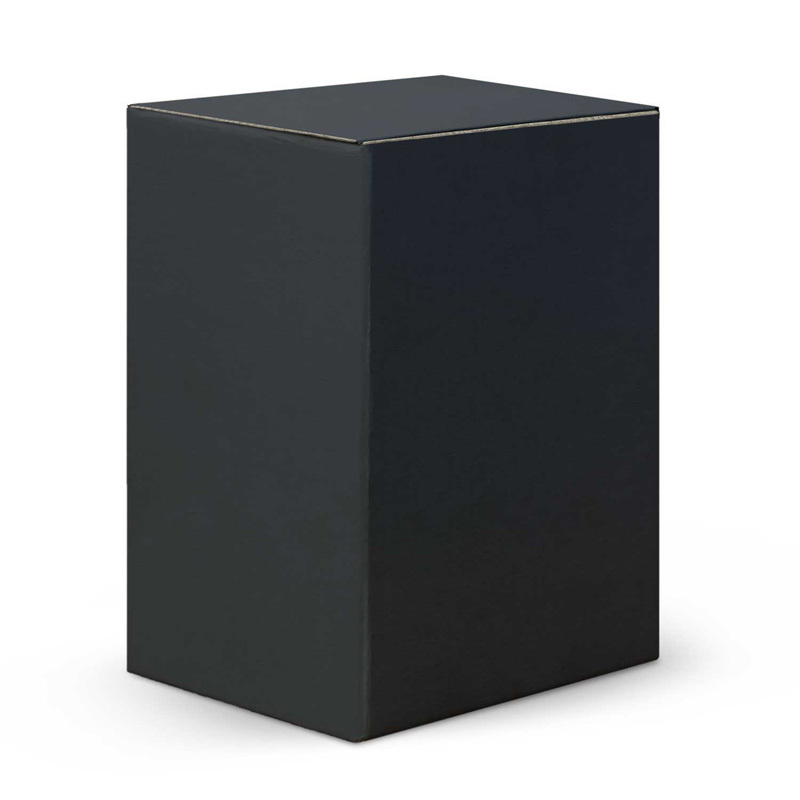 The cup is manufactured from AS and the lid is polypropylene. All the materials used are BPA free and can be recycled.